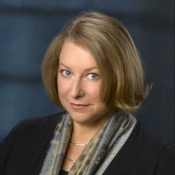 The History department’s annual Dale Somers Memorial Lecture will be delivered by Deborah Harkness, professor of History at the University of Southern California, at 2 p.m. on Friday, April 7, in 25 Park Place, Room 830. Harkness is also the author of three best-selling novels: the All Souls Trilogy: A Discovery of Witches, Shadow of Night, and The Book of Life, which are being adapted into a television series. This event is free and open to the public. For further information, please contact the Department of History. This entry was posted in Books, For Faculty, For Graduate Students, For Students, History and tagged history of magic, history of science. Bookmark the permalink.